Dye up to 15 adult-size T-shirts, with vivid, electric colors that are so colorfast they can be washed with the daily laundry. Procion MX Fiber Reactive Dyes are already pre-measured for you in squeeze bottles. Just add tap water. An additional empty bottle is provided for mixing color as desired. 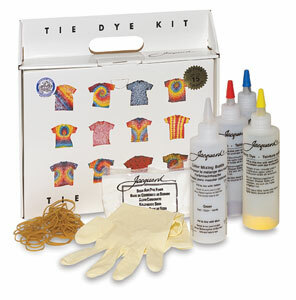 Use on any non-synthetic fabric. ® Jacquard is a registered trademark.